The NGO, Asopescama, was founded in 2008. It has since grown to become one of the largest farmer cooperatives and landowners in Latin America, particularly in Colombia. It has its head office is in Barranquilla. 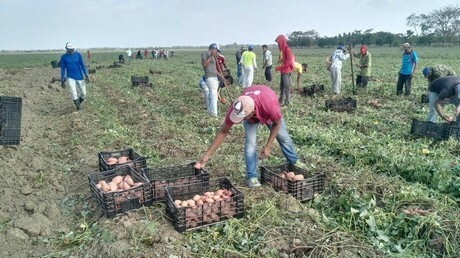 Asopescama has production centers in Manatí in the Atlántico department, Maicao in Guajira, Los Palmitos in Sucre, and Cereté in the Cordoba department. These are all in Colombia. Here, every day, high-quality sweet potatoes are processed for the European market. “The goal is to deliver high and, above all, consistent quality to our buyer. We are partners with Tolsma in Emmeloord (the Netherlands). Together, we optimized the storage of this product. This enables us to guarantee the goal as mentioned earlier," says Asopescama's International Director. "Sweet potatoes are originally a Latin American product. 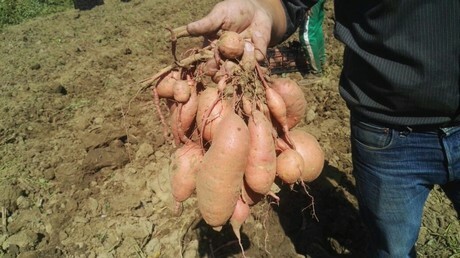 We offer the AURORA sweet potato. This variety is similar to the Beaugard in terms of color, shape, and taste. It is, therefore, a perfect match for European consumers' wishes." Asopescama was born from the idea of improving local Colombian farmers' living and employment conditions. "We have proved successful in this. Currently, all the growers we work with are GLOBAL GAP certified. All fields, as well as the sowing and harvesting processes, are managed and monitored by Asopescama. We can grow these farmers' sales and offer better prices for their harvests." "This is thanks to the export to the European market. For Asopescama's clients, this means a year-round supply of a good-quality product. Fields can also be dedicated to certain buyers. This means we can seamlessly meet the buyer's demands concerning their order's timing and size. We offer sweet potato flour too," adds the Director. “The Colombian climate is perfect for producing fruit and vegetables. We are striving toward becoming completely organic within two years. At the moment, 30% of our production is organic. From Colombia, feeding the world," concludes this NOG's International Director.